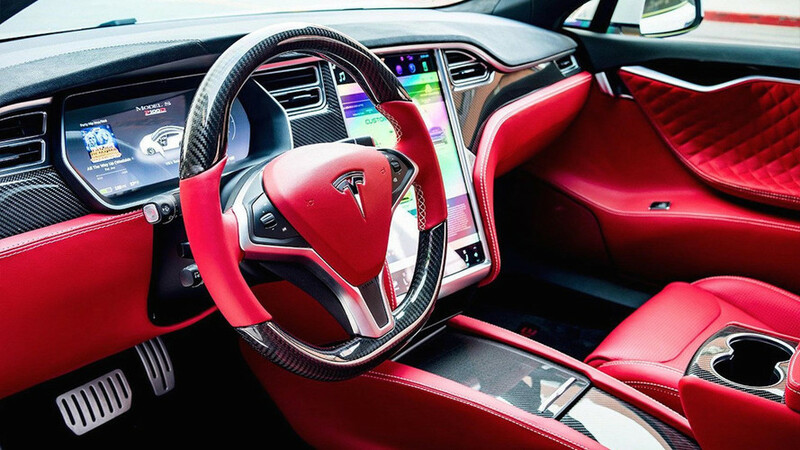 T Sportline offers a full leather and carbon fiber interior for the Model S and Model X. 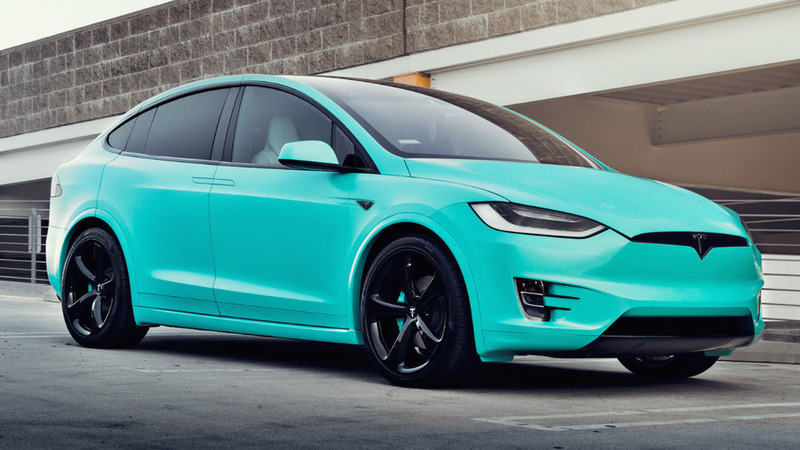 The all-electric SUV gains subtle, yet effective styling upgrades. 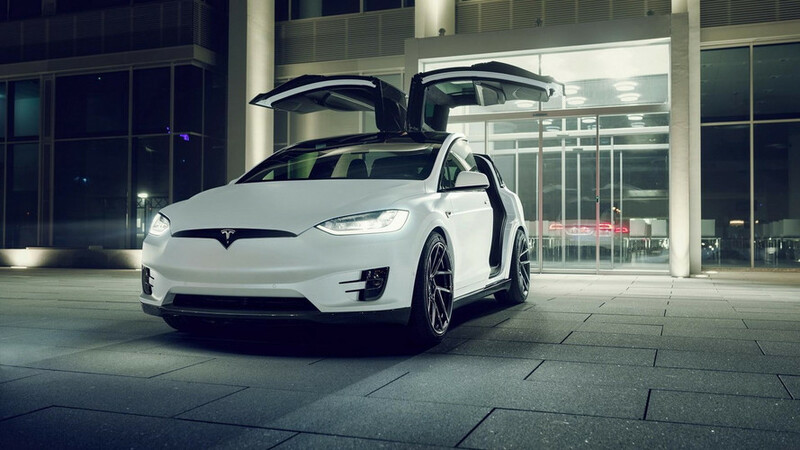 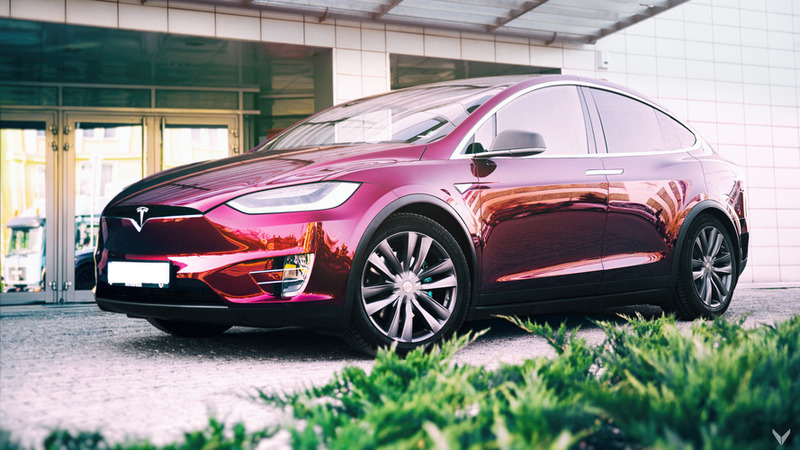 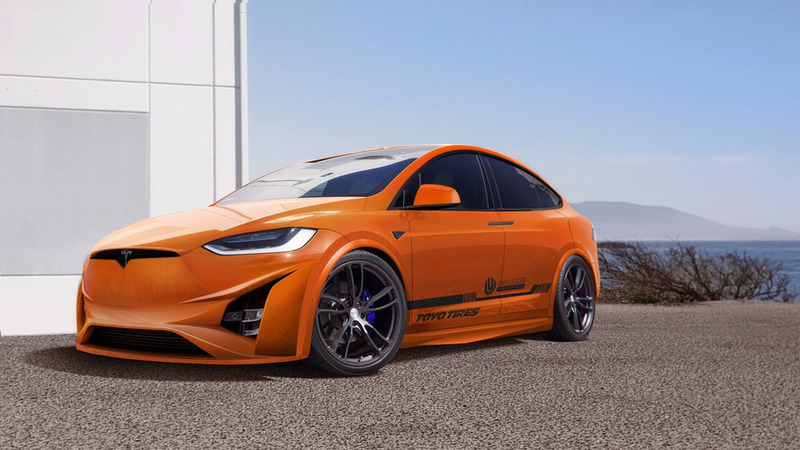 Debuting some months back at the Geneva Motor Show, FAB Design has now officially launched its widebody kit for the Tesla Model X.
Vilner is presenting their modified red & black 2013 Tesla Model S P85+ featuring a plethora of visual tweaks. 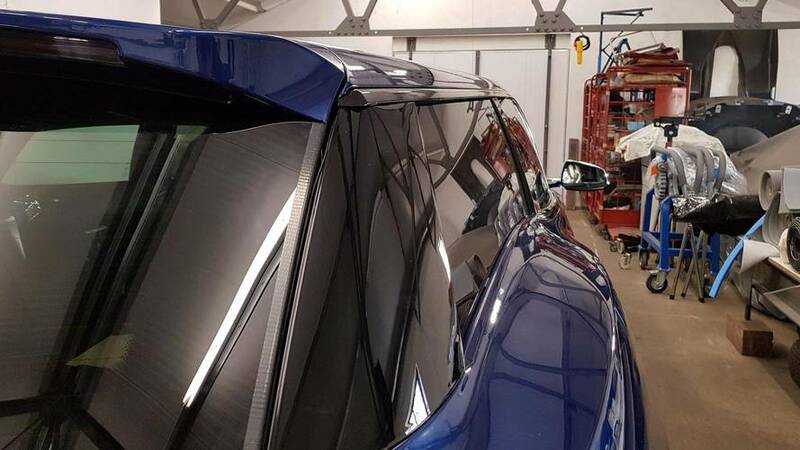 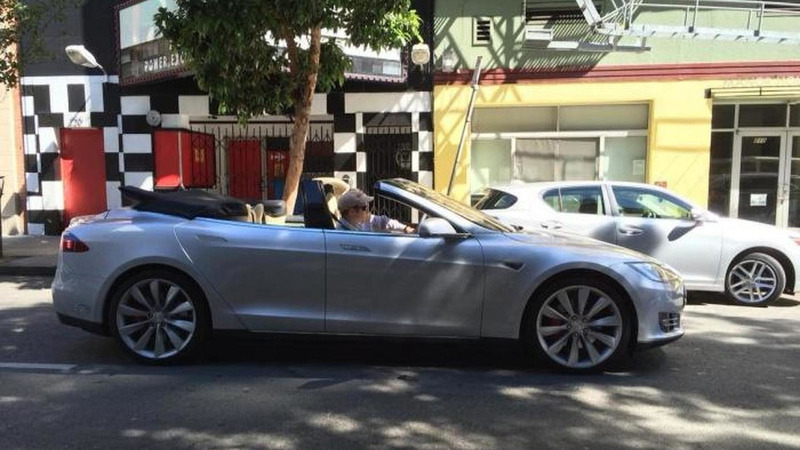 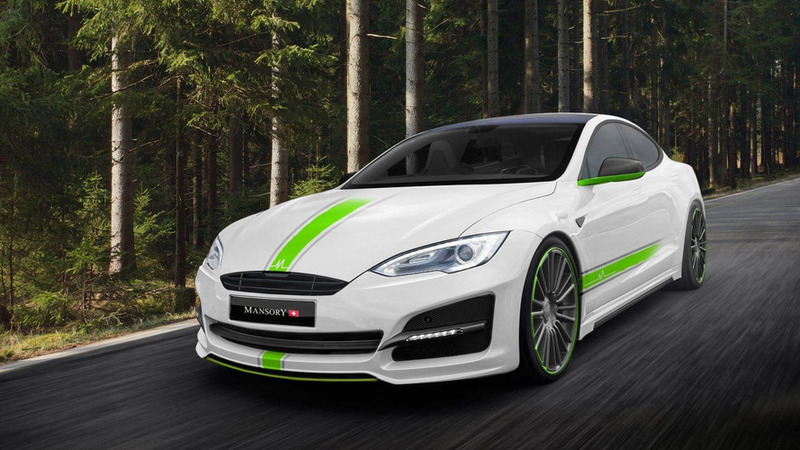 Mansory has taken the wraps off their new styling program for the Tesla Model S.
A Tesla Model S transformed into a four-door convertible has appeared on eBay. 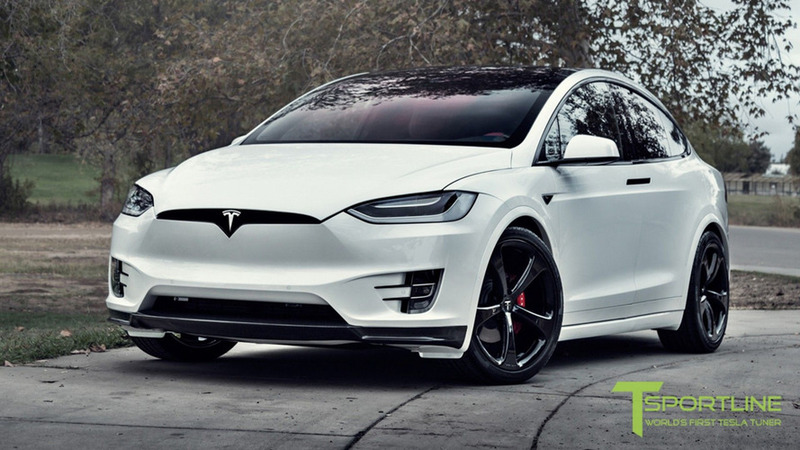 Based on 2014MY P85+ with performance package. 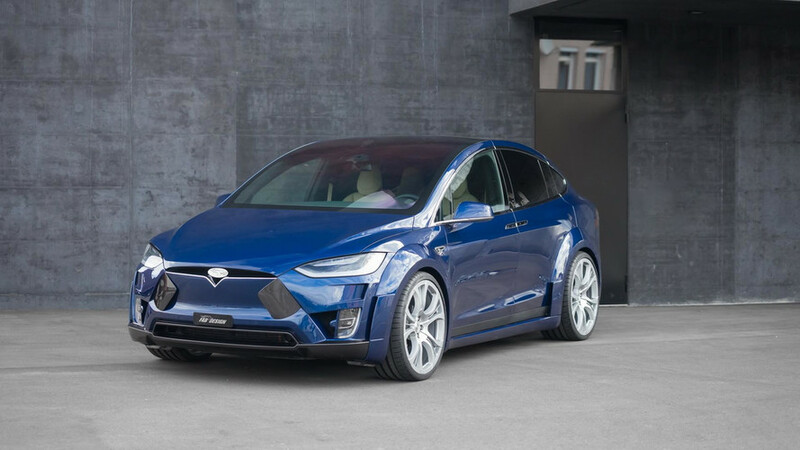 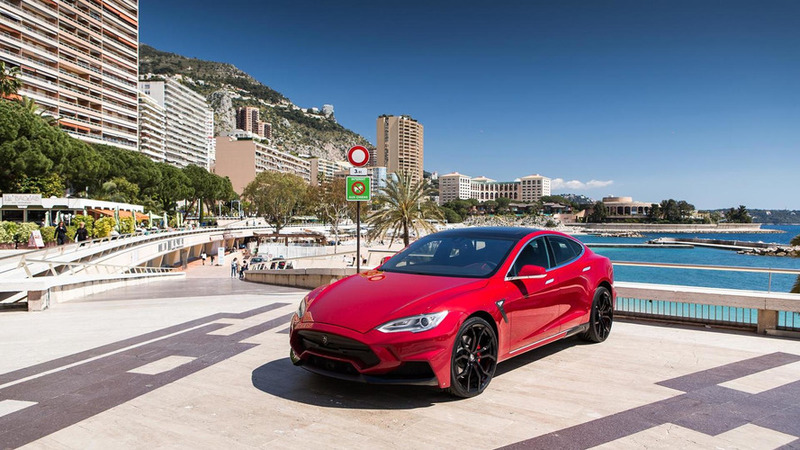 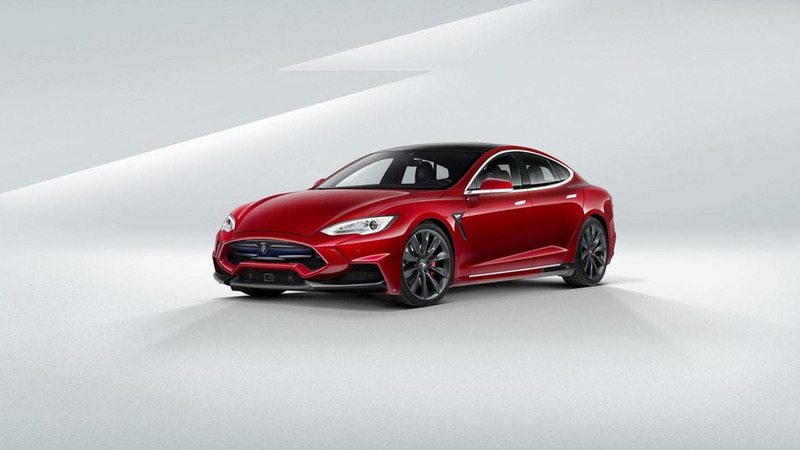 Larte Design has announced plans to introduce their new tuning program for the Tesla Model S at Top Marques Monaco. 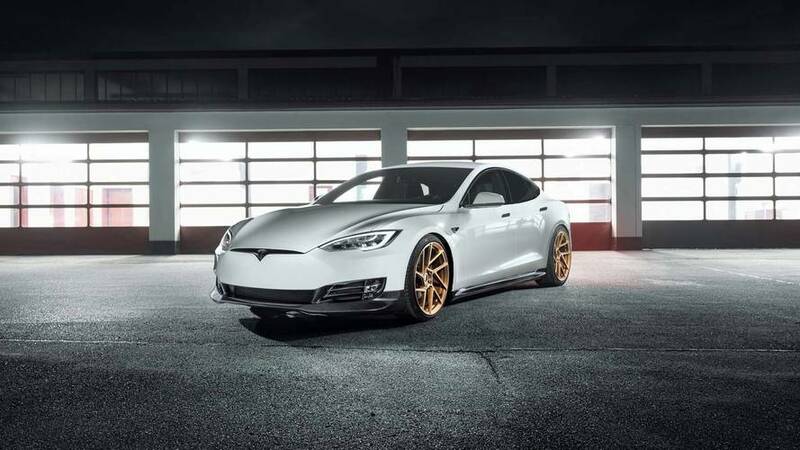 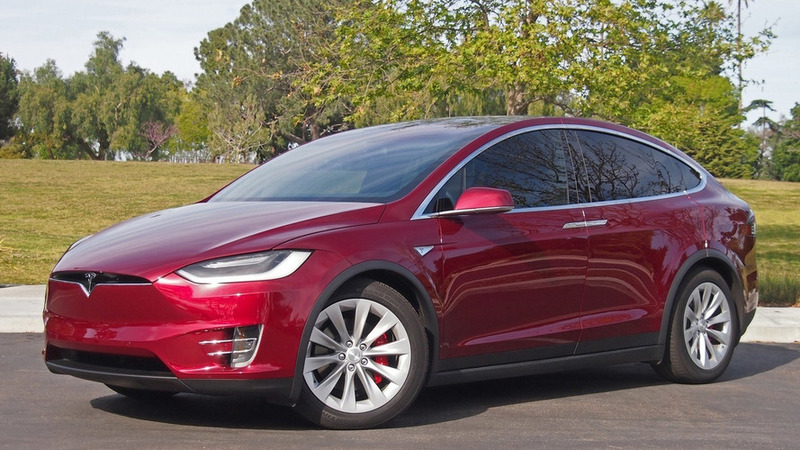 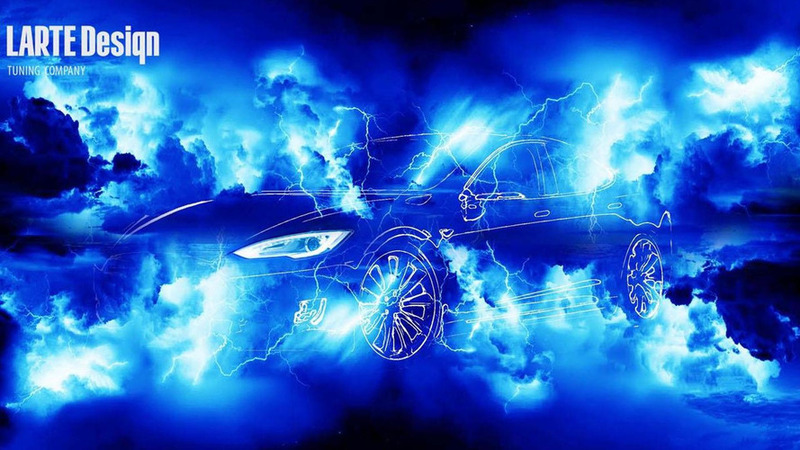 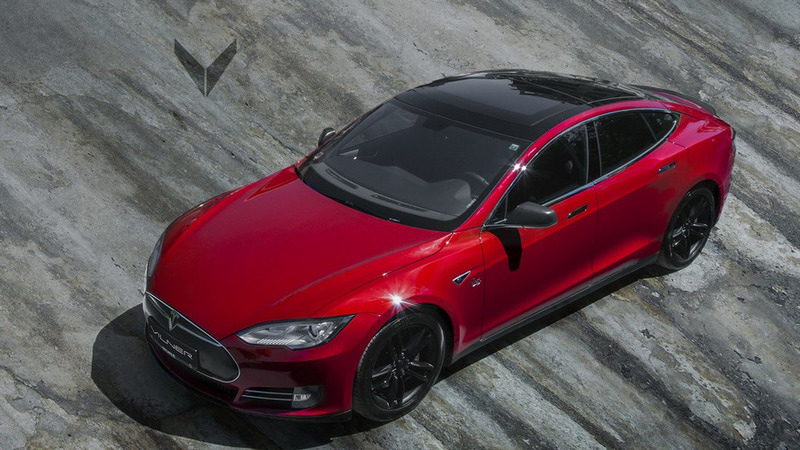 RevoZport has introduced their new styling program for the Tesla Model S.